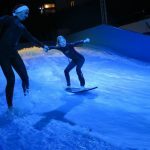 FlowRider sessions are run from The Merton Hotel Aquadome. We recommend that you arrive at least 30 minutes ahead of your scheduled time to fill out waivers, medical records and declarations. These are required for Merton and Healing Waves records. 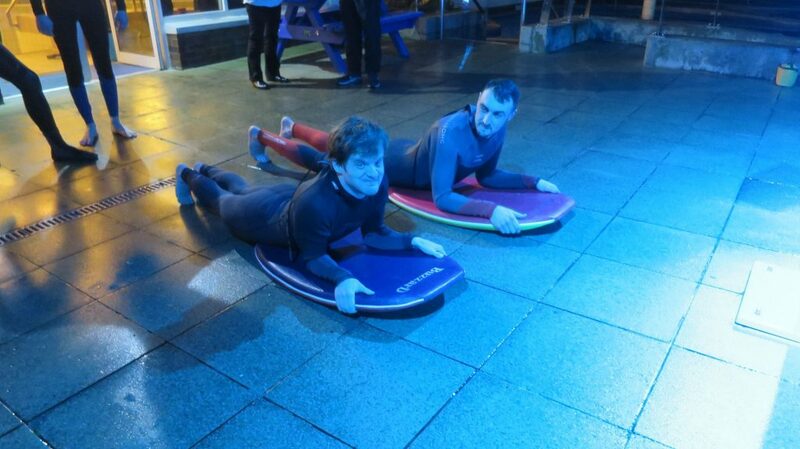 The 30 minutes also allows sufficient time for handover and to get into wetsuits! 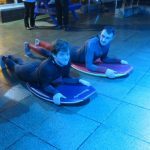 Sessions will start with a safety briefing and tour run by, The Healing Waves team and on occasion the Merton lifeguards. We talk you through how to fall, the do’s and don’ts and everything else you will need to know for your experience. 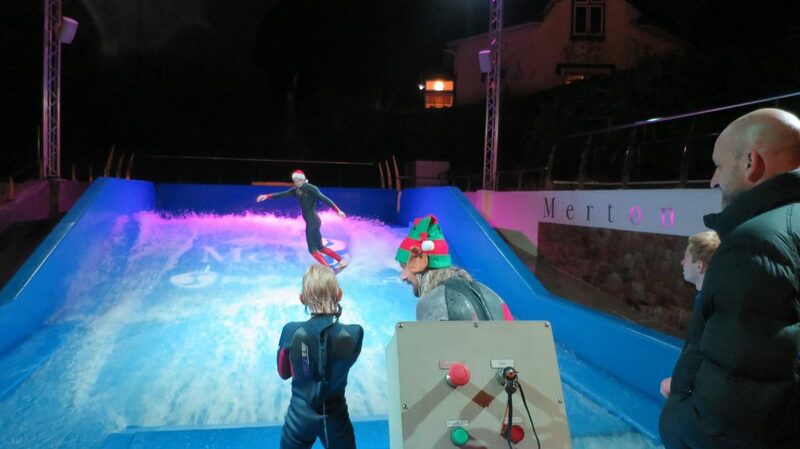 Securing sponsorship from The Merton Hotel Aqua Dome, now means that Healing Waves can now run FlowRider sessions for Athletes throughout the winter months when the ocean is too cold and un-lifeguarded. We encourage parents and guardians to stay and watch their loved ones for the duration of the session, as they will only last around 45 minutes maximum. There is a warm indoor viewing area with seats and café for food and drinks, plus it’s a great time to socialise with other parents and guardians. 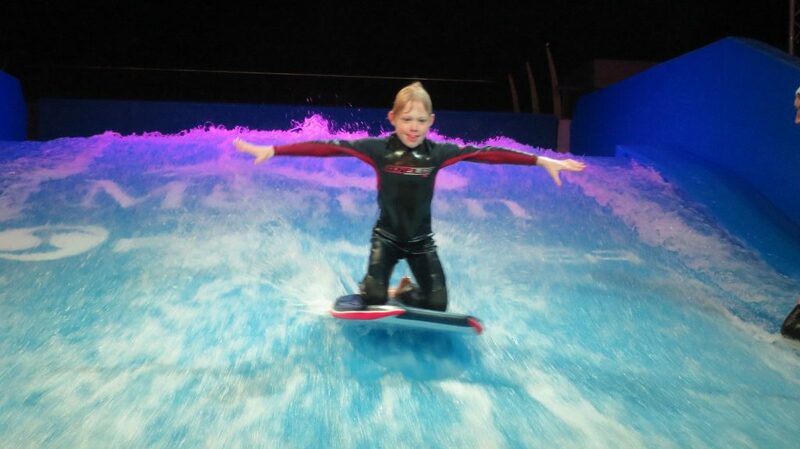 The FlowRider itself is basically a big trampoline matt with jets pushing water over it to create a wave. 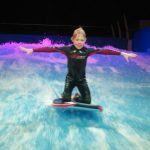 The water is powerful and individuals will more than likely fall over/wipe out, but this is all part of the experience! We recommend that individuals are prepared for this and don’t mind the ‘rough and tumble’ nature of the activity. We understand that this activity is not always suitable for everyone. 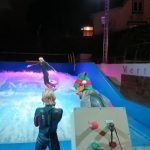 If an athlete does not like the experience or gets too cold, not to worry! They are more than welcome to have a dip in the swimming pools as they will be lifeguarded at this time also. No more than one rider at a time. To ride you must be at least 42inches in height and be in good health. Disclaimers and waivers must be completed before the activity and blue copy given back to front desk and/or Healing Waves staff. 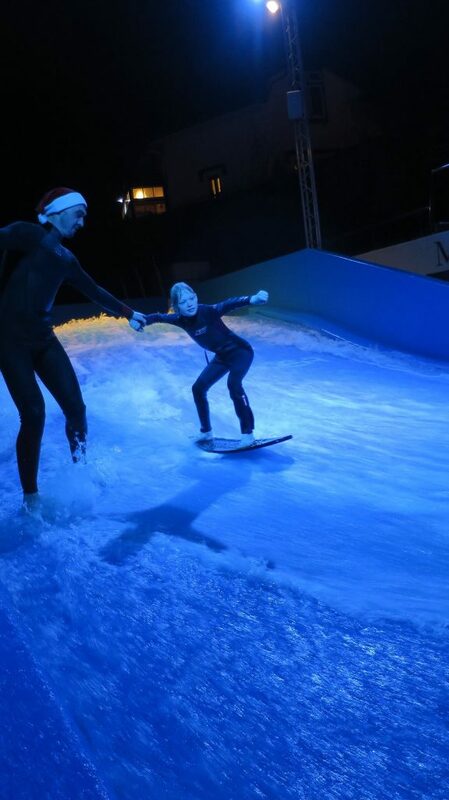 Never slide down the side of the FlowRider or climb on and over the walls. Please do not lean on, or drag the boards as this damages them. Don’t stack the boards on top of each other and ride them. 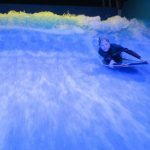 Don’t allow boards to slide down the side of the FlowRider without someone at the bottom to catch them. 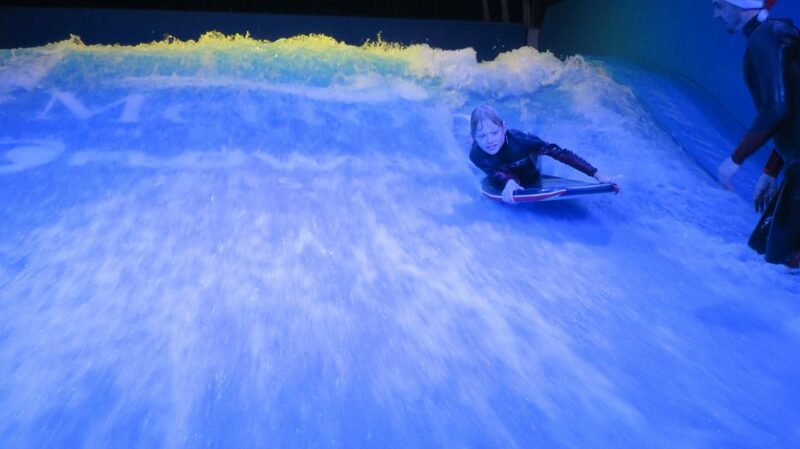 Never walk up the matt (especially when the wave is on in front of the jets). Please don’t leave the wetsuit are in a mess.